MGRs Body Guard Ramakrishnan his Dupe too..
Thiru K P Ramakrishnan better known as the body-guard for MGR the former Chief Minister of Tamil Nadu till he breathed his lost. He was born to the couple Narayanan and Kalyani on 26/8/1930 at Chettakara Kerala. 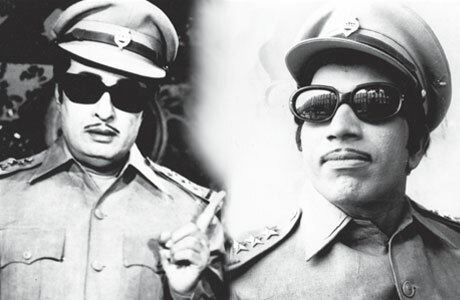 He had acted as stunt artist in a number of films and was a regular dupe to MGR in a number of his famous films where MGR acted in dual role. We met Ramakrishnan at his house in Gopalapuram where he lives with his wife Karthiyayini and two sons Govindaraj and Narayanan. We discussed about his entry into Tamil cinema and his acting experience with MGR and experience as personal bodyguard to him. He shared his experience lucidly and interestingly. I came to Chennai from my native place at the age of seven with an interest to act in cinema. I was working in a small hotel at Sowcarpet and trying for cinema chances and got few small roles. It was 1945 I first met MGR and his brother Chakrapani when they came to our hotel. MGR and Chakrapani were living with their mother and Chakrapani's first wife at Waltax road. I was able to get acquainted with both. I still remember the Pongal day when I went to his house with my friend Sitaraman and ate the food served by his mother. in 1947, MGR moved from his Waltax road house to a new house in Adayar. For nearly two years I was not in touch with him. 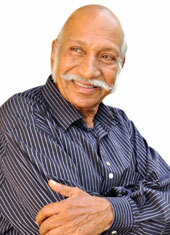 I met him again in 1949 during the shooting of Mangayarkarasi in which P U Chinnappa acted in three roles. MGR paid a courtesy visit to meet PU Chinnappa at the Newtone studio in Kilpauk Chennai. I met MGR again.